SafeDNS has partnered with router manufacturers to offer safe WiFI access straight out of the box. Most WiFi routers do not incorporate the necessary controls to allow the filtering of Internet content without the addition of a third-party solution or controls applied at the ISP level. When web-filtering solutions are included, they tend to be basic and typically do not include advanced capabilities such as SSL inspection, so are restricted to blocking HTTP sites. As more businesses mover over to HTTPS, these web filtering controls cease to be effective. Cybercriminals are also making the move to HTTPS, so the failure to decrypt, inspect, and re-encrypt traffic could leave businesses and consumers exposed to online threats. Further, most routers with Internet access controls included do not offer the same granular control as third party solutions and custom filtering rules cannot be applied. Even in a home environment this can cause problems, as it is not possible to apply different settings for individual users. The all or nothing approach means the same restrictions for a six-year-old child would also apply for a 15-year-old and an adult. In a business setting the problem is worse as it would not be possible to apply different controls for the marketing, IT, sales, and customer service departments. Guest users and office staff would also be lumbered with the same controls. The Alexandria, VA-based web filtering solution provider has been working on a solution that allows router manufacturers to incorporate web filtering controls into their routers with granular controls to allow custom filtering policies to be set, with its router-based software linking to its cloud-based system. The SafeDNS filtering controls can be accessed and tweaked via a web browser. Via the control panel, users can set multiple filtering policies with the solution allowing highly granular control of content filtering settings. 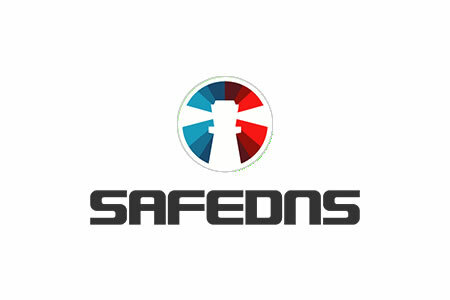 SafeDNS reports that router manufacturers Dovado, Zyxel, D-Link, and Fältcom have started to include the SafeDNS web filter in some of their routers ensuring content control is possible straight out of the box.